The Sitting Rock is an ongoing series that explores the constructs of place, contemplative practice, and time. 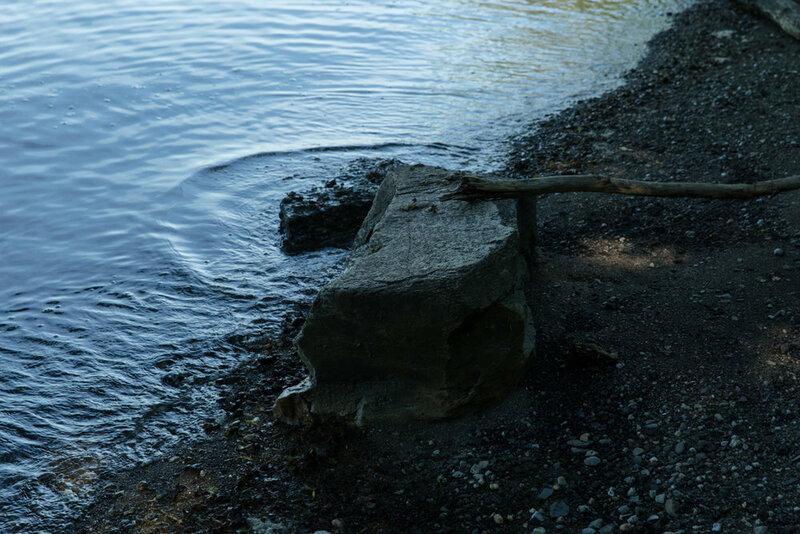 On the shore of an inlet of the Hudson River lives the sitting rock. It's surrounded by stones, seed pods, fallen tree limbs, a forest at it's back and the waters edge at it's face. Sometimes it wades in the tide.